Sweet basil is the most popular species of the most popular herb. It is a hardy plant which thrives in hot climates with lots of sunshine and good soil. In the very warmest climates, sweet basil is a perennial, or grows year-round. In cooler climates, it is an annual, growing best in the summer. 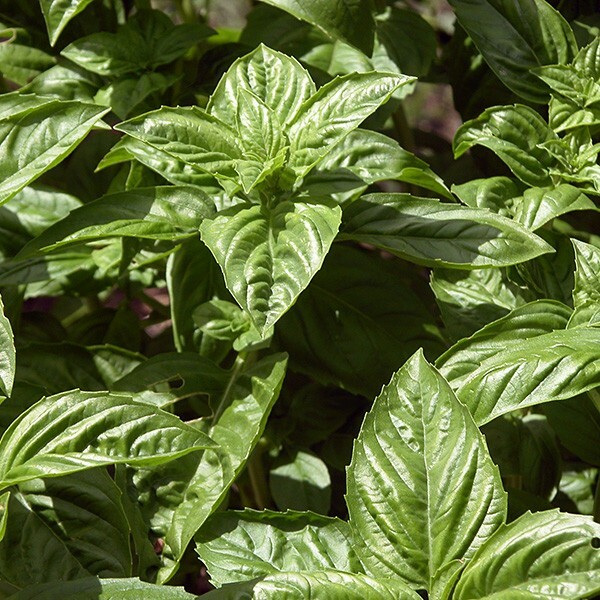 Originally from Asia, sweet basil is used frequently in Italian, French and Greek cuisines. Product photos are for illustrative purposes only. Free plant and flower delivery in Manhattan for orders over $100 from Plantshed.com. NOTE: Many of our plants are readily available, but due to the nature of the season, some orders may take 24-36 hours to process. Let us create your custom garden oasis. If you would like us to plant these for you, please call Plant Shed at 212.662.4400.